The Holiday season is the perfect time to give to those less fortunate than ourselves and we at IQ Inc. are always looking for ways to give back to the community. 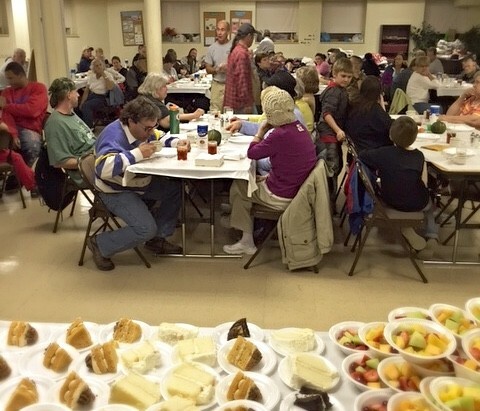 …to provide a weekly gathering for all those in need where they receive a hot meal in a community of fellowship and caring. We also provide emergency temporary housing for the homeless and rent assistance for those at risk of becoming homeless. So on November 19th close to a dozen IQ employees opened their hearts and the doors to the Friendship Hall of the Otterbein Methodist Church to serve those in need. Employees unable to donate their time contributed small hygiene and personal care items to be taken home after the warm meal. Posted in IQ Culture Tagged charity, IQ Inc.